This is one of the many horses in the fields around Gonerby in the UK. Before I took the base image I had planned to give the whole horse a frisian cow texture in order to illustrate the current beef/horsemeat scandal. 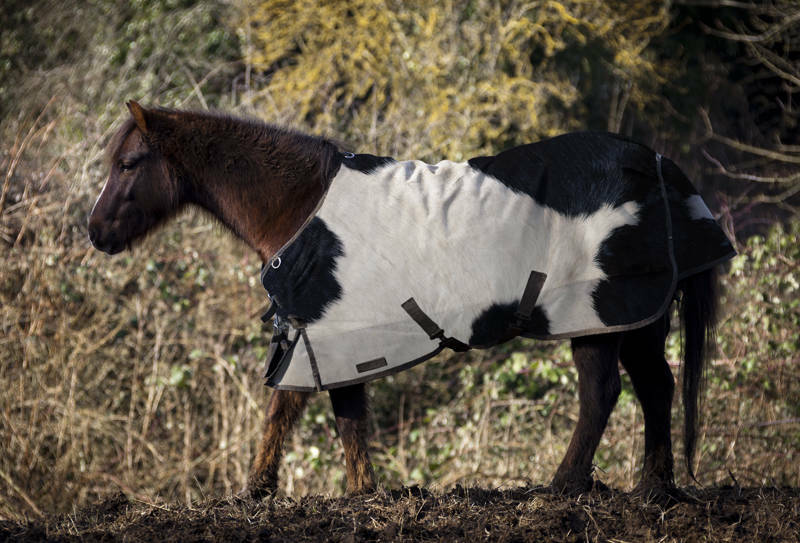 Despite the mild spell this weekend all the horses had blankets on. By only changing the blanket it made the final result believable and the compositing easier. This image has had difficulty getting accepted for Stock Photography at first, however BigStock were the first to accept it and it is available for download here.